YES! We would like to bring the Watershed Warrior Activity Circuit to our community to help youth (and their families) "take action" to keep lakes and watersheds healthy! 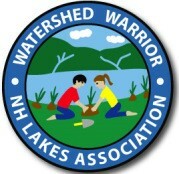 OPTION 1: Schedule NH LAKES staff to host the activity circuit in our community. OPTION 2: Borrow the activity circuit from NH LAKES and recruit and train staff/volunteers from our group to run the stations at our local event. OPTION 3: Make our own activity station kit and recruit and train staff/volunteers from our community to run the stations at our local event(s). Any other comments to share? If you selected OPTION 1 or OPTION 2, please include information about your event below. Note: The circuit can be scheduled for a 60-90 minute+ time block or stations can be staffed during a day-long event. If you have any questions or problems filling out this form, please contact Andrea LaMoreaux, NH LAKES Vice President, at 603-226-0299 or alamoreaux@nhlakes.org.